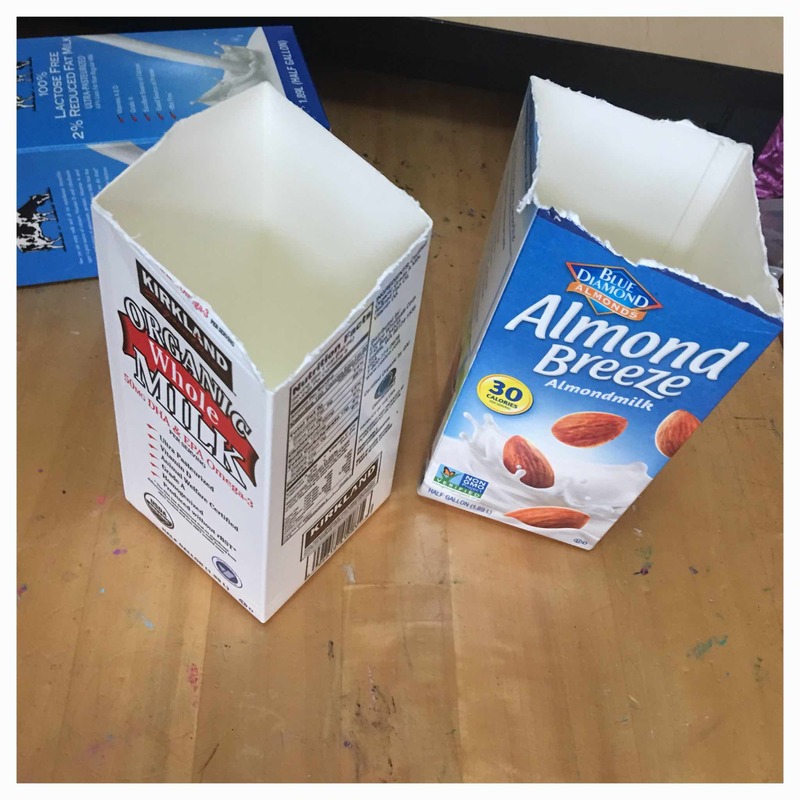 Cut the tops off of the milk cartons to create a rectangle. Clean the inside thoroughly with hot water and soap, then dry. 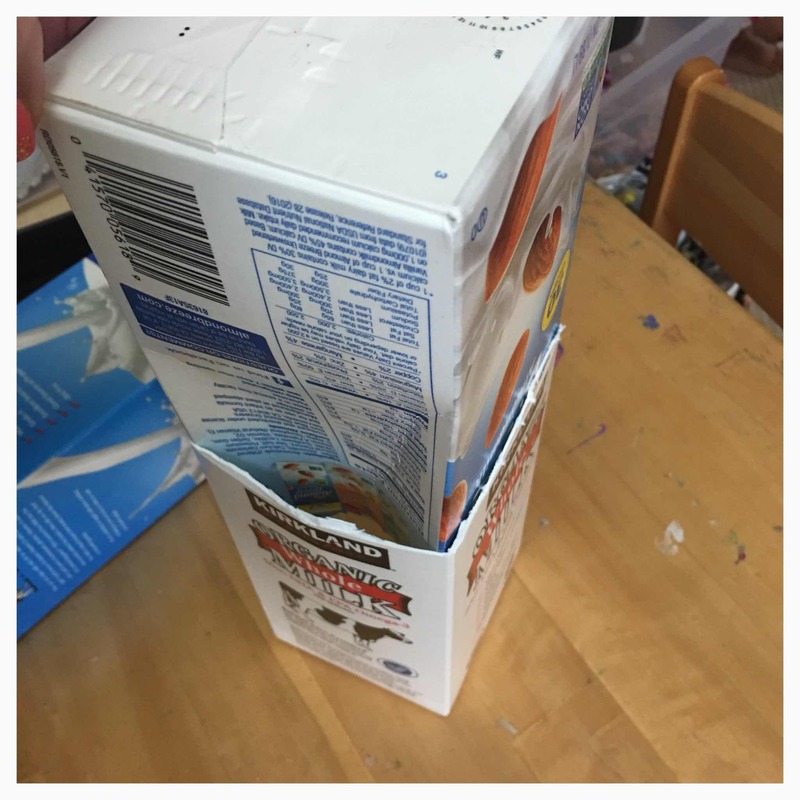 Push one of the cartons down into the other. Don't worry, it's much easier that you'd think. 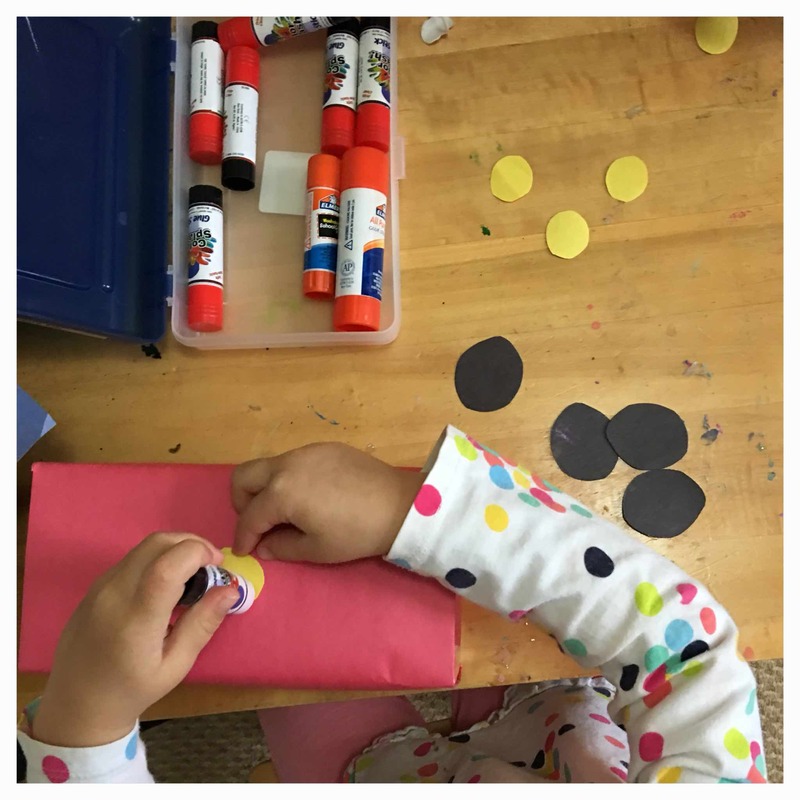 This create a very sturdy brick that the children can play with. 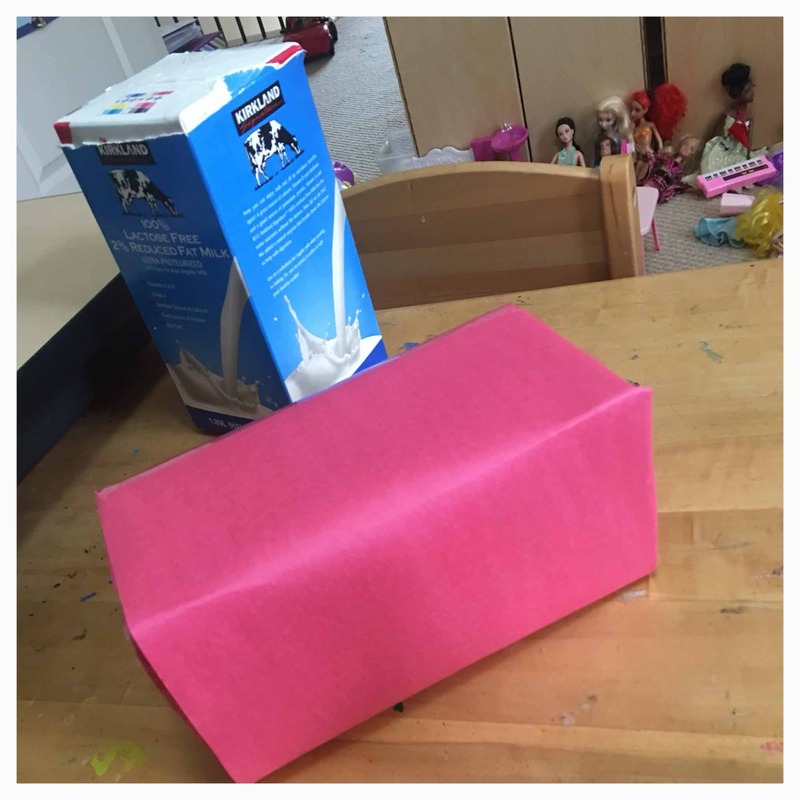 Cover the carton brick with red construction. Cut out circles for the wheels, headlights, and windows of the fire truck. 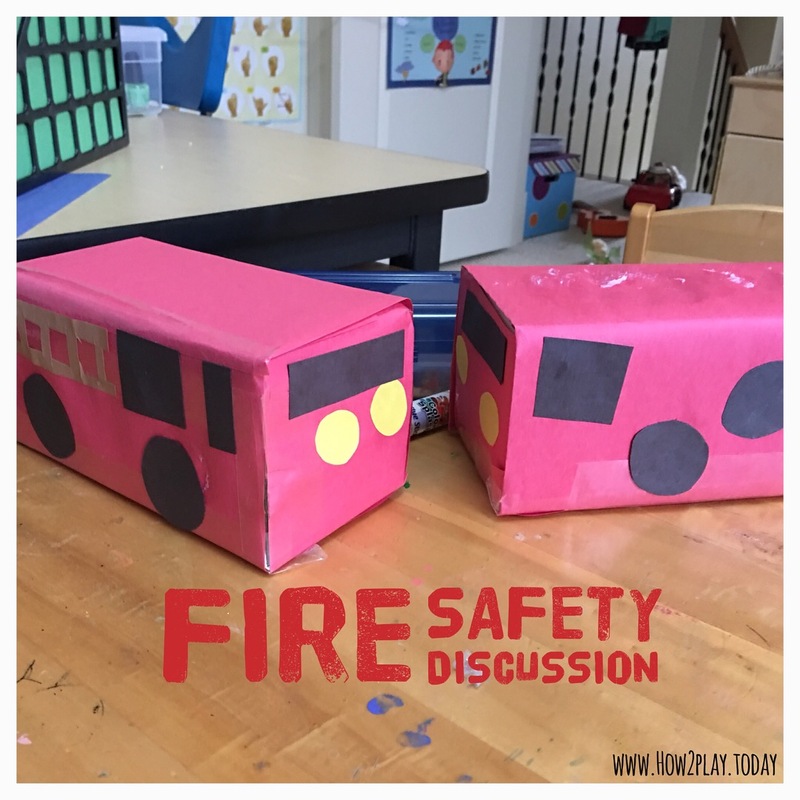 Allow the children to glue and paste them onto the fire truck. Normally, I don't direct how a project should look but I did encourage the children to think about where do you fire wheels on a car? Are they up near the windows or down low touching the ground? 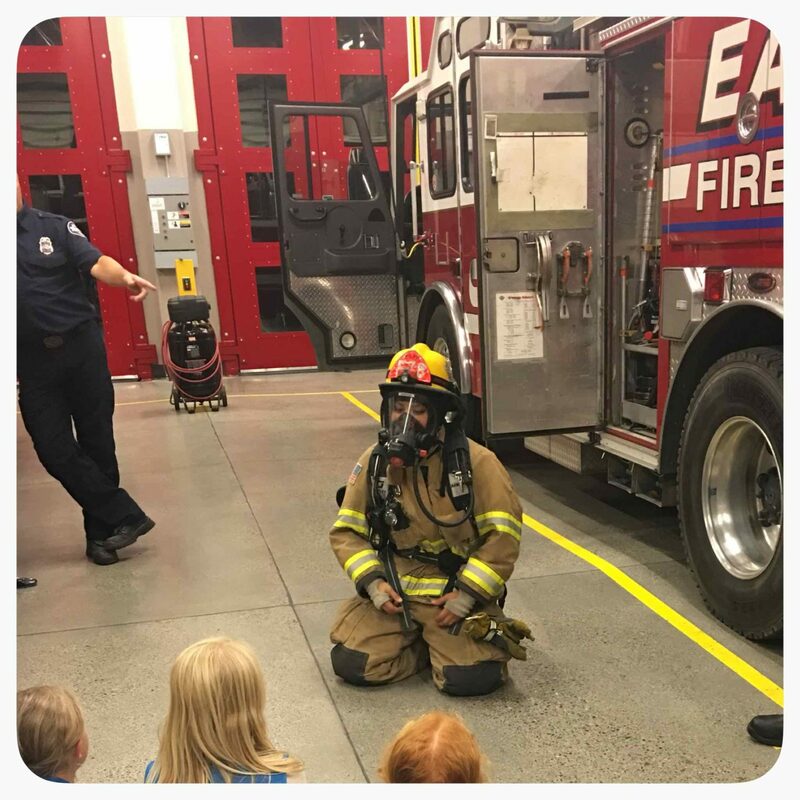 We had the pleasure of touring a local fire station the other day, which got the children thinking and asking some amazing questions. 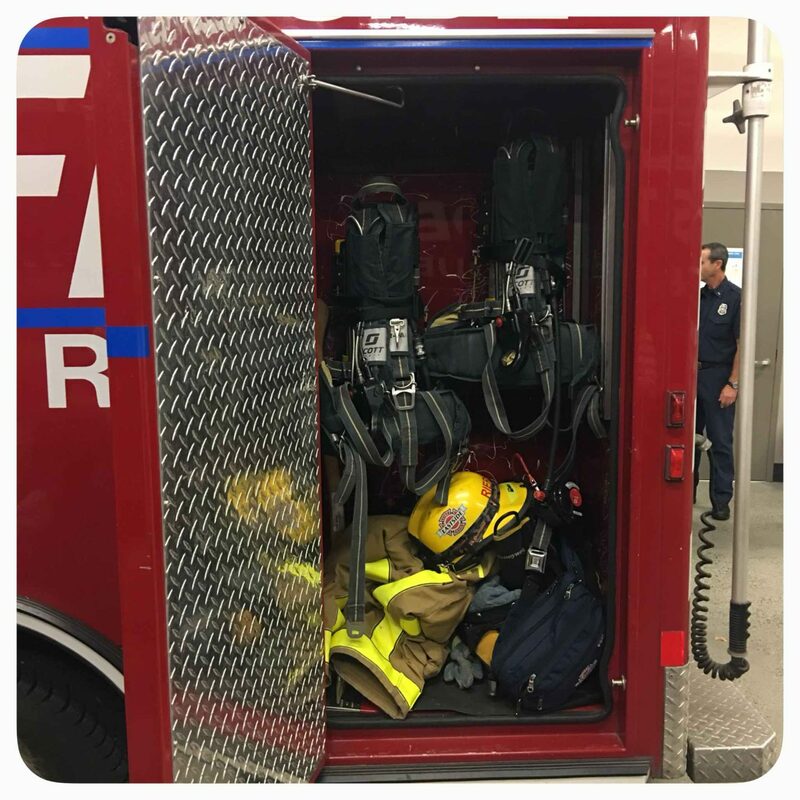 Today we discussed fire safety and how to dial 9-1-1 if you should have an emergency.